What Do Latest Surveys Show About Millennial Savings? Recent surveys are consistently showing that Millennials are exhibiting great saving behaviors and are focusing on their financial future. According to new research from Schwab Retirement Plan Services Inc., which ran a nationwide survey of 500 working Americans who currently contribute to a 401(k), Millennials are aware of the importance of saving for retirement, and are even open to having professional help from a financial planner in order to manage their money in the best way possible. The survey highlighted that 86 percent of Millennials recognize the importance of saving with a 401(k) and believe it will be one of the main factors in their retirement fund. In fact, 78 percent of those Millennials stated the 401(k) was their sole source or their largest source of retirement income. 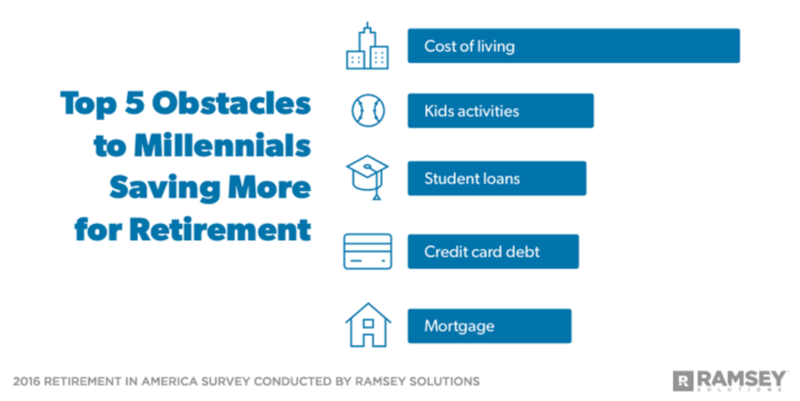 In addition to these findings, the survey also showed that despite retirement being many years away for most Millennials, they are disciplined and confident in their saving strategies and behaviors, despite a difficult job market and many graduating with a mountain of debt. Student loan debt, however, was a main source of financial stress for 35 percent of Millennials surveyed, who also stated that this stress has affected their job performance. Even with monthly bills and/or student loan debt, 80 percent of Millennials surveyed shared they typically have a little money left over at the end of the month after bills are paid. Wondering what they do with this money? For starters, 34 percent of them are putting extra money back into their 401(k), this is compared with only 20 percent of Gen Xers. In addition, 25 percent of them often invest that money back into the stock market. On track with the Schwab survey is a recent survey from NerdWallet that highlighted how Millennials are actually great at saving – in fact, the study showed that they save twice as much as Baby-Boomers, helping them to soon be richer than Gen Xers and Baby Boomers at retirement if they stay on track. Not only did research from Schwab showcase positive saving behaviors from Millennials but it also shed light on how likely a Millennial is to work with a financial planner. The survey showed that over 80 percent would like personalized investment advice for their 401(k), and almost two-thirds believe their current financial situation is in need of advice from a financial advisor. In addition to having a 401(k), many Millennials are savings through other means. A 2017 Mashable.com article shared that many Millennials are extremely careful with their spending, often have roommates to cut expenses, they are putting off or avoiding traditional milestones such as buying a home or car, and they prefer cash over credit cards. Plus, they are fans of taking advantage of technology. For instance, Millennials will often times use apps such as Digit or Acorns, which will actually round up their purchases and take their change and transfer it into a diversified portfolio. Apps that offer cash back, rewards, or find deals and coupons online (such as Honey), are also big hits with the Millennial generation. If you are a Millennial who is searching for additional ways to grow your nest egg or save up for an upcoming milestone, it may be the perfect time to sit down with a financial advisor that is familiar with the financial stressors you face. Learn about other investment vehicles that can help you reach your financial goals.